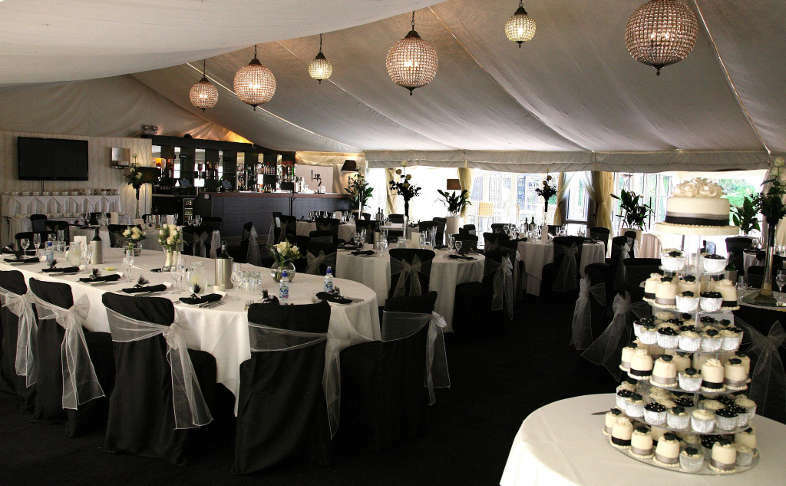 Smaller gatherings can enjoy their wedding breakfast in our beautiful oak panelled dining room overlooking the grounds, whilst larger groups can celebrate in our stunning marquee, situated in the hotel gardens. Our experienced team will set up your flowers, favours and decorations, giving you the look and atmosphere you want to create. From drinks reception and canapés, through to our extensive selection of wedding breakfast and evening options, our catering team will certainly make an impression on your guests! Download our full wedding brochure.